Looking for land in TX for farms, ranches, or recreational acreage? Read this article on Texas farm land for sale to learn 4 ways to find top rural real estate. If you're looking at buying a piece of rural real estate, there's no better place to start than Texas. There are over 142 million acres of rural lands in Texas. This amounts to 84% of the total land area of this state. Clearly, farming is big business in the Lone Star State, which makes Texas farmland a hot commodity. If you're looking for somewhere to hang your hat for the sake of recreation, you could have a hard time finding a suitable stretch of land. 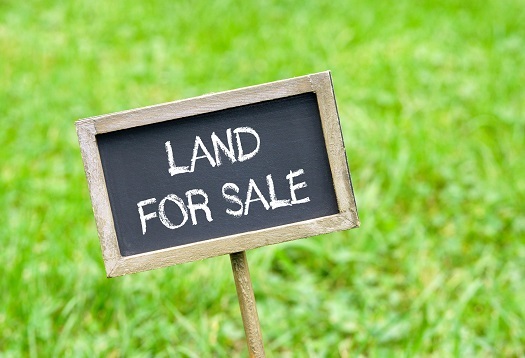 Here's how to find farm land for sale in Texas and make it your own. Getting the news out there is the first step towards acquiring the farm of your dreams. Start interacting with local farmers wherever you may meet them and tell them that you're looking for farmland in Texas. Attending agricultural shows and farmers markets are easy and sociable ways to ease your way into the farming community. You could also get your foot in the door by getting involved with agricultural forums like Farm Bureau. You might come across someone who is thinking about listing their land but hasn't done it yet or a farmer who is struggling to sell their land. Yet another rancher may be downsizing and willing to subdivide a portion of their property. Someone else could be looking for a tenant. Renting for a while could give you the first option if the land comes up for sale. The old adage "if you don't ask, you don't get" applies. Be flexible. Like the perfect horse, the perfect farm doesn't exist. There's only a slim chance that you'll find the ideal farm in the exact location you want. Looking far beyond your doorstep means more choice and a greater chance of finding land that's close to your idea of perfection. Land prices in Texas vary greatly by county, which means that if you're open-minded with regard to location, you could save big on price per acre. Arable land always costs more and land with water rights costs even more. If you aren't planning on planting any crops, you could be better off with property in a less fertile area. Vacant land is an attractive and cheaper option for would-be landowners, especially if you want to build your dream home on this recreational property. Here are some things to consider before buying land for this purpose. Many farmers have a sentimental attachment to their ranches and want them to end up in good hands. So, if you want to stand out as someone who is going to be a good custodian of their precious land, you need to prove it. Put together a CV for yourself. This could include proof of any home improvements you've done to your existing property, any agricultural experience you have, and proof of funds available to buy and run a farm. If you go to the trouble to do all this, it also proves that you're a serious buyer and worthy of a busy farmer's time and attention. You'll also find it a lot easier to get a mortgage from the bank if you have all your ducks in a row. If you're planning to make some money from your rural property as well as using it for recreation, you can include your business plan in this portfolio. It's important not to step on any toes while shopping for farmland in Texas. If there is an agent involved in the sale, don't approach the landowner directly. By circumventing due process you could harm your reputation in the community and decrease the chances of getting the land you want. Be sure to follow any conditions that the farmer or agent have in place. For example, a farmer may have strict rules governing when you can visit to view the property. Farmers do not take trespassing lightly. Do not arrive at their doorstep unannounced and expect a warm welcome. One of the best places to look for farmland for sale in Texas is right here on this website. Even if your perfect farm isn't listed yet, searching online will give you an idea of prices in each area. This helps you to work out the size and type of land that you can afford. Other options are to approach an agent with a list of your requirements and ask them to search for TX farmland on your behalf. The Center for Rural Affairs has programs that help match first-time farmers with retiring farmers who do not have anyone to pass their farms down to. These initiatives have several benefits which include help with financing. The USDA has fact sheets for each state on their website with detailed information about land values and viable farming options in Texas. Although it's focussed mainly on farming in New England, Land for Good has an online toolbox that's useful to most people starting out in the world of farming. Everyone benefits from owning a farm in their own way. It's the ideal escape from city stresses. It's a great way to get your children away from technological diversions during vacations and teach them how to appreciate nature. Farming can be an enjoyable way to make a little money on the side. You'll also gain a huge amount of personal satisfaction from rearing livestock or growing crops from scratch. At the moment, agricultural land values are on the rise, so you could say that buying a farm is an investment. At very least, it's a good way to diversify your portfolio. If you're serious about finding farm land for sale in Texas, keep tabs on our property listings or get in touch for advice and assistance.